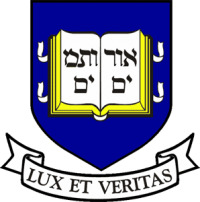 Yale University is a private university in New Haven, Connecticut. Founded in 1701 as the Collegiate School, Yale is the third-oldest institution of higher education in the United States and is a member of the Ivy League. Particularly well-known are its undergraduate school, Yale College, and the Yale Law School, each of which has produced a number of U.S. presidents and foreign heads of state. In 1861, the Graduate School of Arts and Sciences became the first U.S. school to award the Ph.D. Also notable is the Yale School of Drama, which has produced many prominent Hollywood and Broadway actors and writers, as well as the art, divinity, forestry and environment, music, medical, management, nursing, and architecture schools, each of which is often cited as among the finest in its field. NOTE: CosmoLearning is not affiliated or endorsed by Yale University. This page is only intended to credit this content provider for their educational content being included on the CosmoLearning site.